* These machines have been optimized and designed to produce neutral pH with high hydrogen gas levels. * These machines are often more consistent in their hydrogen concentration and do not vary as much based on source water and flow rate. * Because they do not change the pH, and the process of hydrogen dissolution is different, scaling and subsequent cessation of a high hydrogen concentration is less of a concern. Although the use of this technology for producing hydrogen-rich water is new, the PEM technology is highly advanced. The machines that use this technique often have a concentration between 0.8 to 1.5 ppm depending on the machine (and thus also the use of time). 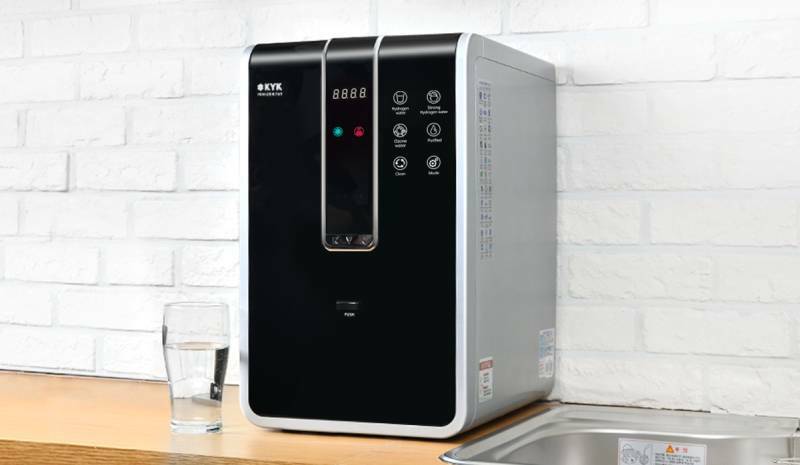 Importantly, not all neutral pH hydrogen water flow-through systems will produce levels of 0.8 ppm and above, some only produce 0.1 to 0.5 ppm. 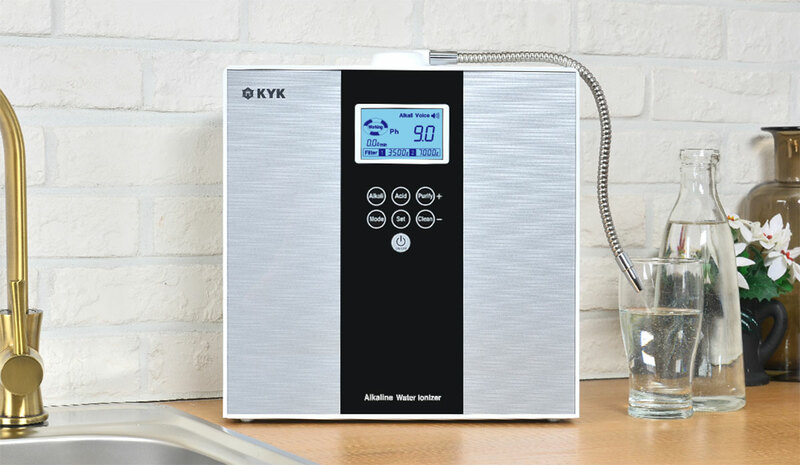 This is often because these types of units do not use the PEM technology and instead use conventional alkaline water ionizer chambers, but just don’t split the water into acidic and alkaline streams. When talking about hydrogen, some will fail to make the important distinction as to which species of hydrogen is being discussed. The positive hydrogen ion (H+) is often referred to as “hydrogen”. But, this form of hydrogen is responsible for the “acid” level (pH) of water. If one assumes that the hydrogen ion is the species being discussed, they may think that adding hydrogen gas (H2) to water will change the pH of the water. But, molecular hydrogen (H2) is a neutral molecule which, when dissolved in water, has no influence on the water’s pH. 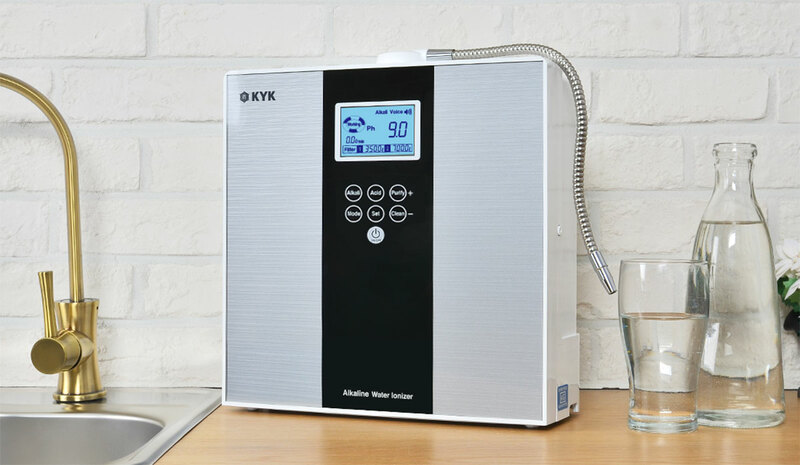 Alkaline ionizers raise the pH of the water not as a direct result of adding H2 but because in order to produce H2, they must consume the H+ions in the water, thus making the water more alkaline. 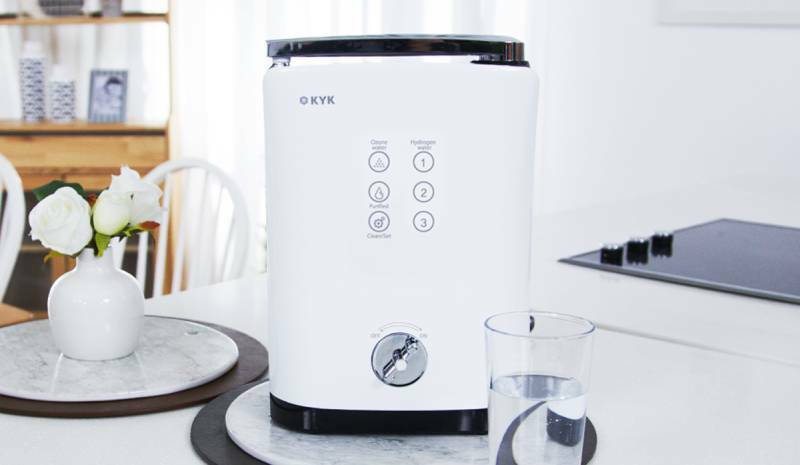 Methods of producing hydrogen water such as bubbling or infusing, which simply add pure hydrogen gas to water, do so without changing the original pH of the water.